EDWARDS AIR FORCE BASE, Calif., July 26, 2011 -- Northrop Grumman Corporation's (NYSE:NOC) RQ-4B Block 40 Global Hawk unmanned aircraft system (UAS) completed its first full system flight with the high performance AN/ZPY-2, also referred to as the Multi-Platform Radar Technology Insertion Program (MP-RTIP) sensor. 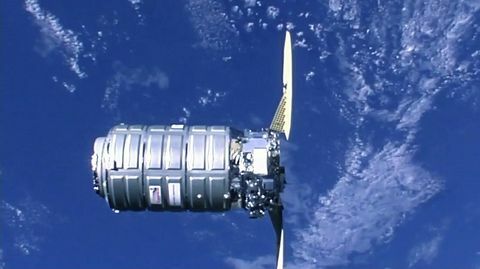 The flight took place at Edwards Air Force Base, Calif., on July 21. This is a first for a fleet of Block 40 Global Hawks that will be delivered to the UAS' main operating base at Grand Forks Air Force Base, N.D. The MP-RTIP-equipped Block 40 Global Hawk provides unprecedented capabilities for both military and domestic applications. Flying at altitudes up to 60,000 feet for more than 32 hours per sortie at speeds approaching 340 knots, the Block 40 Global Hawk provides persistent coverage to see through all types of weather, day or night, thereby providing vital near real-time imagery to the warfighter. 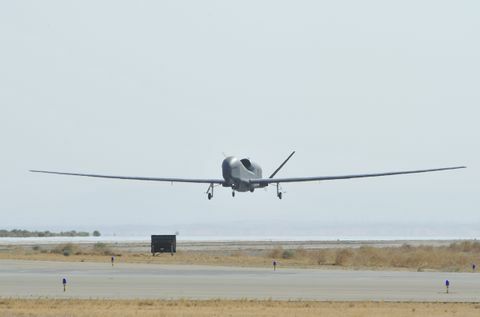 "Since 2001 Global Hawk has provided critical resources to the warfighter, while accumulating more than 45,000 combat and humanitarian relief hours," said George Guerra, vice president, High Altitude Long Endurance Systems, Northrop Grumman Aerospace Systems. "The MP-RTIP equipped Global Hawk is the natural evolution of the program's advanced technology in providing invaluable intelligence, reconnaissance and surveillance capabilities for both military and domestic applications." 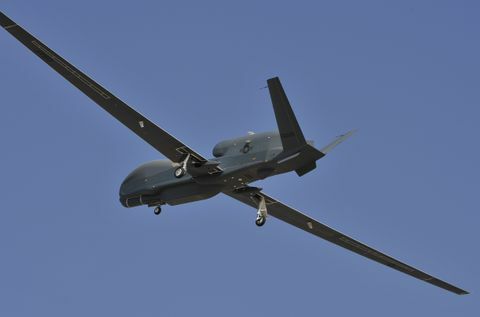 The Block 40 Global Hawk is a part of a growing Q-4 Enterprise family of unmanned systems developed by Northrop Grumman. 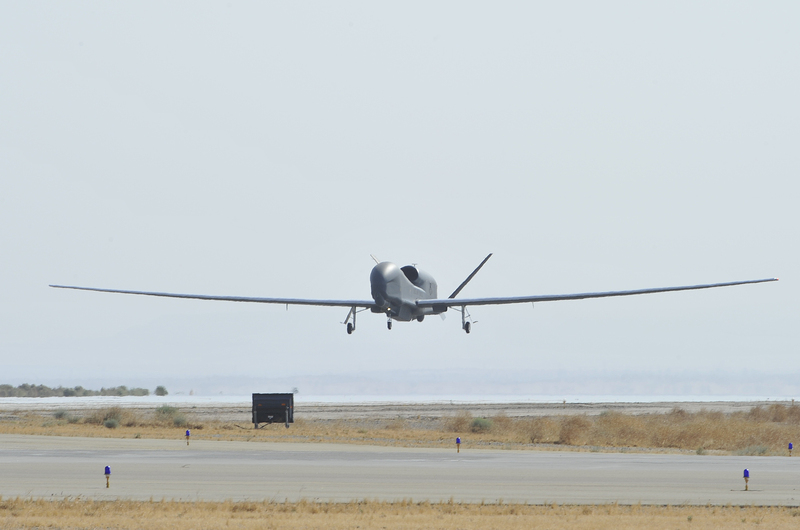 The Q-4 Enterprise builds on the company's more than 60 years experience with unmanned aircraft and autonomous flight control, including more than 52,000 flight hours by the battle-proven RQ-4 Global Hawk. Northrop Grumman Aerospace Systems is the prime contractor for the Global Hawk and MP-RTIP programs and continues to move these technologies forward under the stewardship of the Air Force's Aeronautical Systems Center at Wright-Patterson Air Force Base, Ohio, and Electronic Systems Center at Hanscom Air Force Base, Mass. 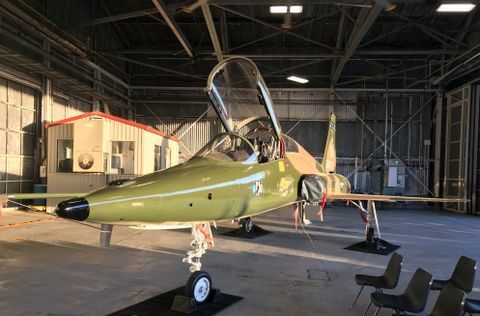 Northrop Grumman Electronic Systems' Norwalk, Conn., facility is teamed with Raytheon Space and Airborne Systems, El Segundo, Calif., to develop, produce and deliver the AN/ZPY-2 MP-RTIP radar.